Dog Friendly – Charged at £25 per dog max 2. Greensholme is a homely holiday cottage in Blakeney situated in a peaceful loke off the main road. It has its own parking and gardens. It is owned by Peter and Flor and has been a loved family home for many years. The bungalow is a great base for a holiday, well off the busy streets of Blakeney and with the huge bonus of parking and gardens, whilst just being a short walk to the harbour and quayside. It sleeps 4 in two bedrooms. Greensholme retains many original features including the stripped wood floorboards, quarry tiles in the kitchen and a brick fireplace to keep things cosy in the winter. It is a well equipped and comfortable home. The famous bird reserve at Cley is a few minutes drive away. This area of Norfolk is famous for its nature, you can take boat trips out to Blakeney Point to see the seals from nearby Morston Harbour, and there are peaceful walks directly from the property. If you are looking for a holiday cottage in Blakeney with parking and gardens, Greensholme is the perfect base for a holiday, whatever time of year. Peaceful dog and family friendly bungalow in a secluded location with gardens and parking. Front door to porch, handy for boot removal and dog drying. 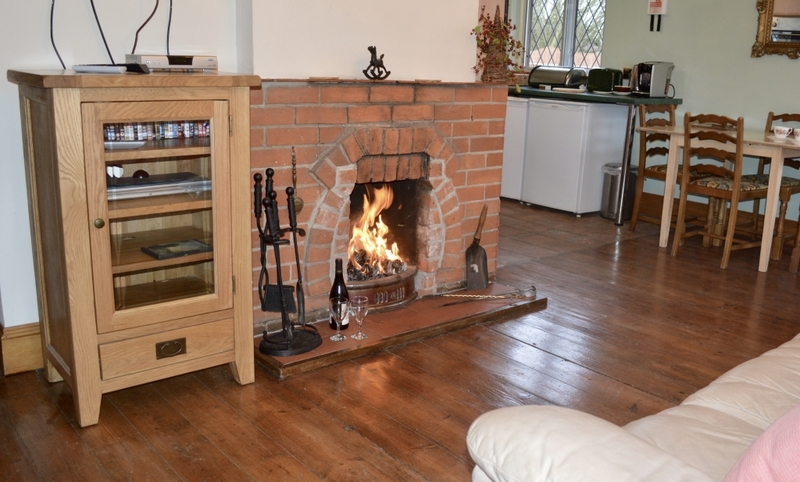 Sitting room: Homely room with original wooden floorboards, open brick fireplace and very comfortable sofa and chair. TV with DVD player. Selection of Dvds. Kitchen: Tiled floor area. Well equipped kitchen, with fridge and freezer, microwave, oven and hob. Nespresso type coffee maker with starter selection of capsules. Door to sun room: Overlooking the gardens. Sunny spot to sit and read or have a snooze. Tiled floor. Bedroom 2: Original wood flooring. Full sized twin beds. Chest of drawers, side table and lamp. Bathroom: WC, basin and electric shower. Outside: The property is approached via a single track off the main road. There is parking for a car. The house has a garden to the front and a lawned area to the rear, the gardens are secluded and private. Garden furniture is available. Blakeney village is just a short walk with all its lovely places to eat and shop. The Quayside is the place to go crabbing and sit and watch the boats coming and going. Just along the coast at Morston you can catch a boat to see the famous seals at Blakeney Point, Blakeney is a fabulous holiday destination for families or couples, all year round. There is an abundance of excellent places to eat, drink and shop. Independent art galleries, shops and cafes along the winding streets, or the famous bird and nature reserves at Cley and Titchwell, the top areas for winter bird watching in the UK. Children will love pottering about in the muddy creeks crabbing, kayaking or just being children, making Swallows and Amazons holiday memories.